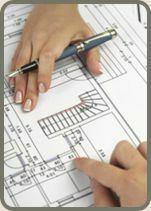 www.GoddardConstruction.ca | Construction Management Services Ltd. Welcome to Goddard Construction Management Services Ltd.
What sets Goddard apart from other interior contractors is our ability to bring the architect’s vision to life. We marry fresh, out-of-the-box thinking with practical expertise and problem-solving to make the seemingly impossible, possible. And we do this in the most timely, cost-efficient, ethical, and least disruptive manner. In short, we bring constructability solutions to creative visions—beautifully, on time, and on budget. We work with you every step of the way. We start with a shared vision. We plan and prepare a budget. We source the best possible and most cost-effective materials. We provide the very best quality workmanship. We plan and stick to a schedule. And throughout, we are supremely sensitive to your needs regarding your ongoing work or living environment, taking the utmost careto manage noise, dust, and Health and Safety issues when working in public or private spaces. Weekly site meetings, cost reports and schedules provide you with a clear understanding of your project’s status at all times.